Cut pine tree auction of this year was held on December 10 Sunday at 7: 00 am. 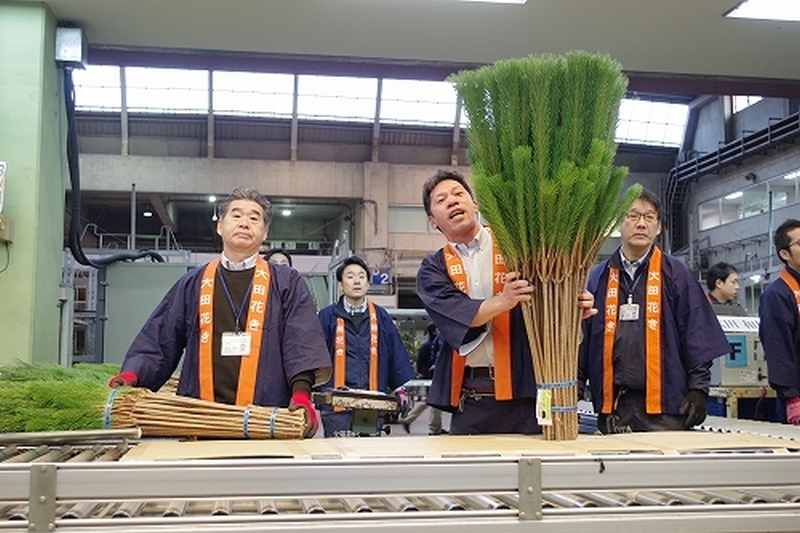 Cut pine tree is an important item for the Japanese people to celebrate the New Year’s Day, praying for health and long life. 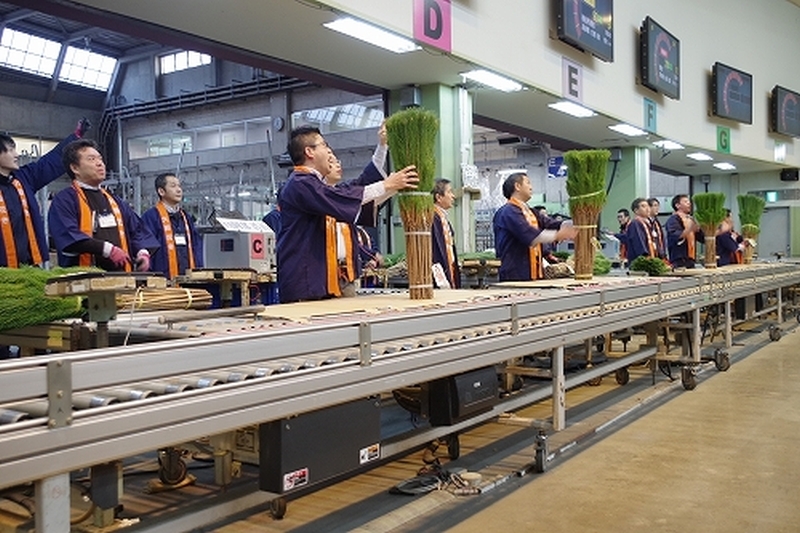 Regarding “Sujimono” (literally, string item varieties) this year, long items such as “Kadomatsu” (pines decorated at gate) and small objects such as “Karagematsu” (pines served for Buddha) decreased due to high-temperature injury. In addition, long-rain floods in autumn and repeated typhoons prevented growers from working in the fields. So, growers could cut less pine than in past years, and shortage of workers made the matter worse. 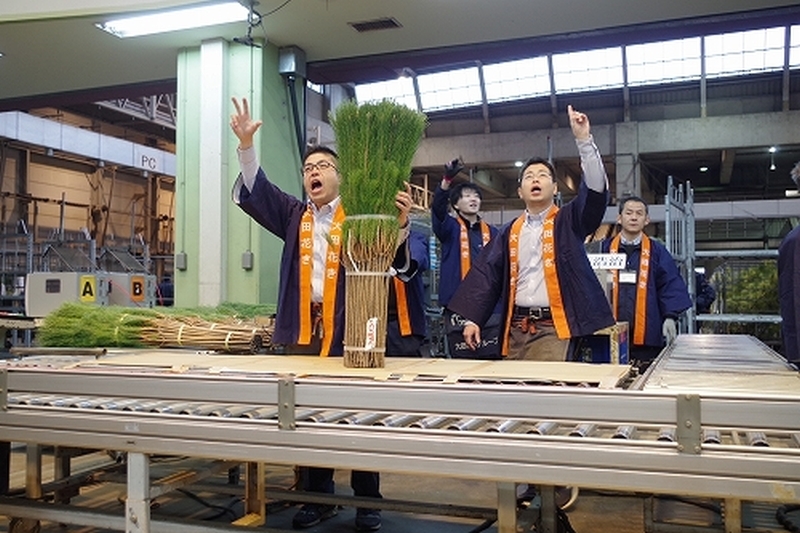 “Nebikimatsu” (pines with roots) and “Goyomatsu” (five-leaf pines) caused damping-off but producers carefully selected and shipped same quantity as last year. 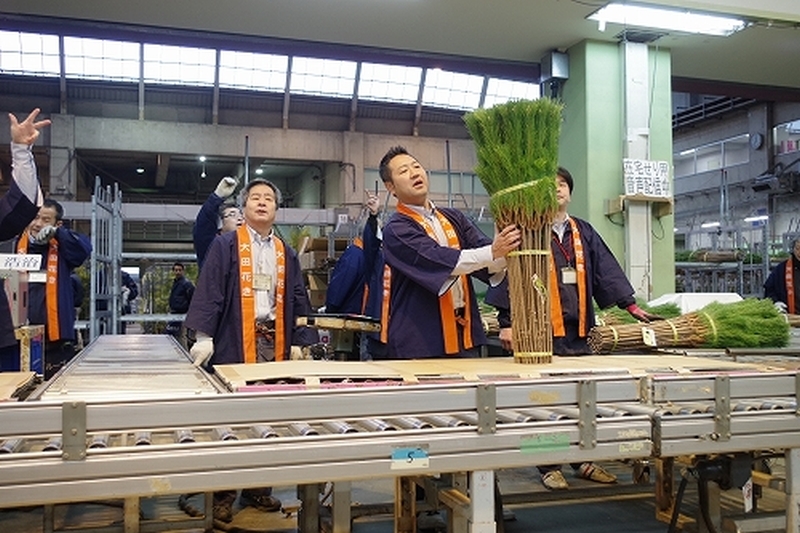 “Daiomatsu” (long-leaf pine) was shipped at the same quantity as last year due to increasing new producers. Next week on Sunday, December 17 we will hold a special auction for “Senryo (Sarcandra glabra), Kokematsu (pine with moss), Kokeume (Prunus with moss)”.